If you're vacationing anywhere on the coast of New England, whale watching is likely on your "must-do" list of activities. 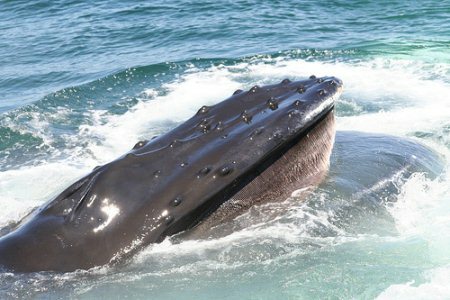 From whale watching in Maine on the remote Bay of Fundy, to excursions out of ports in Boston and Cape Cod, each state offers you whale watches that'll introduce you to Mother Nature's giant creatures, up close and personal. As you might guess, I'm a big fan of whale watching in Massachusetts. Partly because I live here, but also because Massachusetts has more whale watching excursions than any other New England state. With a coastline that's quite a bit shorter than either Massachusetts' or Maine's, it shouldn't come as any surprise that there are fewer excursions to choose from in New Hampshire than other parts of New England. The rocky coast of Maine boasts some of the best whale watching in northern New England.